Spring is right around the corner. And that means that you may be gearing up for some very thorough spring cleaning. Spring is often the time for a thorough entire-house cleanse because spring and summer are times of pollen, plants, muddy kids, and nonstop fun coming in and out of the house, so you need to have a clean foundation to get you started on a good clean streak for the rest of the warm weather. Alongside thorough carpet cleaning, there are a many other things you’ll want to add to your spring cleaning checklist this year. Here is one that will make a huge difference. Take the time to go through your clothing and donate the articles you don’t wear as much or have moved to the back of your closet to collect dust. Head to storage to collect old holiday decorations you didn’t use this year or finally get rid of those extra old suitcases you have piled in the corner; send these to Goodwill or another non-profit collection. Maybe consider hosting a community garage sale on a bright and sunny weekend. A good rule of thumb is to donate or sell anything you haven’t used in the past year. This alone will help your home feel more open and clean. Plus, someone else can use those items that you neglect, and you can make a few extra bucks. Don’t stop here! 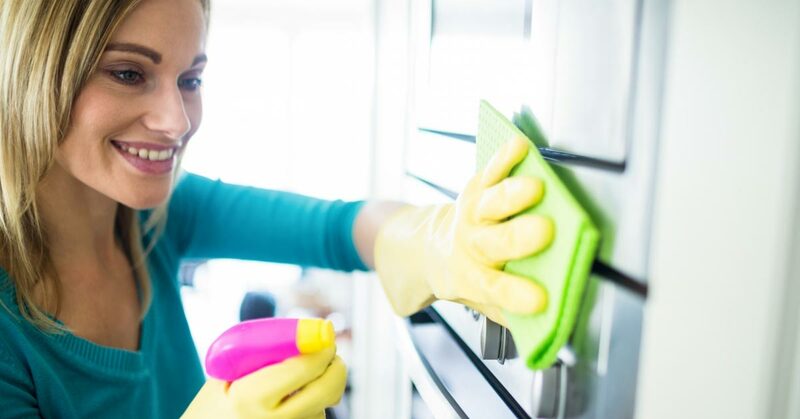 Check out some other great blogs on the web to find complete spring cleaning checklists, and give us a call to schedule a carpet cleaning to get rid of those stains that the extra clutter was hiding.